a blessing in a disguise for the future of Grey (WhiteGrey in Australia) and JWT? Or will a merger go ahead? Unlike Y&R and Ogilvy, Grey and JWT haven’t delivered on their targets globally and the clout they once held has diminished after a string of clients losses and pitch fails. Sorrell, who bought a shopping cart company and turned it into the largest advertising and marketing corporation in history, has a reputation of being a shrewd and ruthless man. “If you aren’t making money, you aren’t safe,” one ex-WPP agency leader told AdNews. Sorrell’s mission to growing healthy profit margins has seen mass consolidations across the global WPP empire and sources said that JWT and Grey were his next target. In this market, it’s no secret Grey has faced challenges. Last year, it was merged with The White Agency in a bid to strengthen its offering, however, as WPP AUNZ CEO Mike Connaghan revealed yesterday, the merger has had its flaws with the holding company struggling to bring the two agency cultures together. It’s a similar story at JWT, which recently made a number of creatives redundant and is believed to be restructuring to facilitate Vodafone – a client that has a reputation for 'harming' agency culture, according to sources. Connaghan says he cannot comment on a potential merger, as its "above his pay grade”, but adds that “anything is possible” as WPP explores various models to facilitate a new advertising economy. “Grey was at one point a great agency in Australia. It just hasn’t been for a while," he says. He says he also has a soft spot for JWT, having led the agency for two years before becoming CEO of STW which was later merged with WPP. He believes the recent restructure of its creative department will see it become stronger in this market. Another agency mooted for possible change is full-service agency Spinach, according to industry sources close to WPP. Could it potentially be rolled into WhiteGrey Melbourne? "We're not in the business of commenting on speculation and rumour," Spinach CEO Craig Flanders said in response to the possibility of a merger. Mergers form part of Sorrell’s mission of ‘horizontality’, bringing WPP's companies together to work more closely on collaborative projects for clients. It’s a strategy that isn’t likely to be scrapped as Wunderman CEO Mark Read and WPP digital boss Andrew Scott take the helm of WPP as holding groups pivot to a “one-stop shop” model for clients. Connaghan told AdNews last week that while he “doesn’t have a crystal ball”, consolidation within WPP AUNZ is on the cards. “There’s no perfect number of companies that WPP AUNZ have set. Right now we are at 80 agencies, but if that is 85 or 75, I’m not concerned either way," he says. “What we won’t do is merge agencies because it’s convenient." 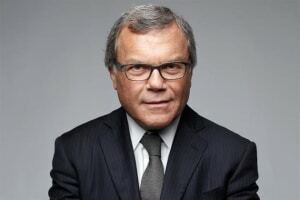 Last month the then global WPP CEO Martin Sorrell outlined his frustrations about two WPP agencies he considers to be “underperforming” globally – J Walter Thompson (JWT) and Grey. 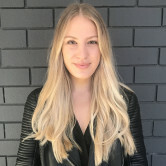 In a meeting, he floated the idea to merge J Walter Thompson and Grey, a source confirmed to AdNews. So is his resignation a blessing in a disguise for the future of Grey (WhiteGrey in Australia) and JWT? Or will a merger go ahead?